As much as I’d like to have a witty title, those that know me will know I’m anything but. A little appetite whetting in advance of the Cork photowalk thats taking place later this month. 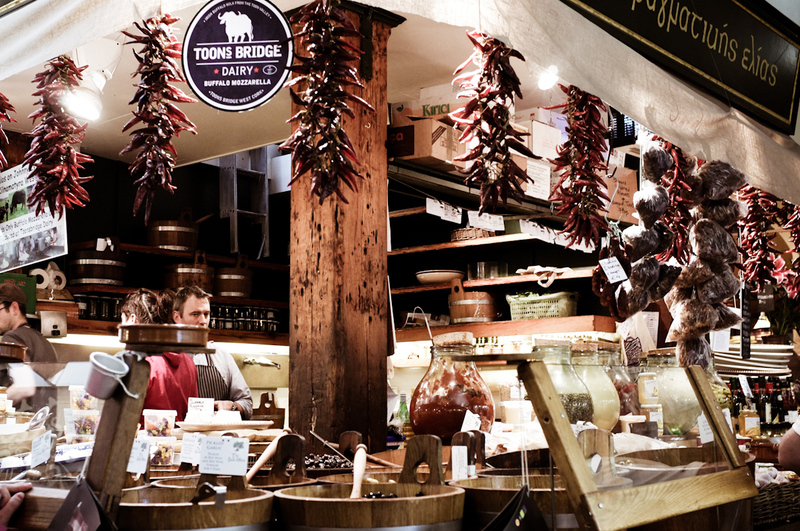 This, as the title suggests, is the English Market in the center of the city. A wealth of food, drink and some clothing can be found inside along with some more obscure outlets. 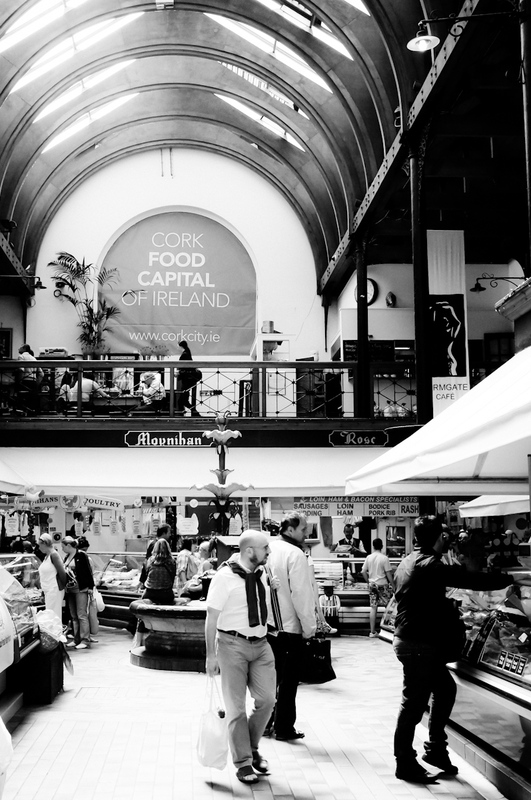 I’ve always had a soft spot for the market and when living in Cork it was one of my regular haunts. It’s just the spot to enjoy a sausage in a bap (I’m hesitant to call it a ‘hot dog’ as essentially what you’re getting is a half pound of meat in a soft roll) while sitting on the fountain (pictured right) and afterward sipping a coffee and lazily flicking through a newspaper while watching the world go by. Of course you can also get the nights dinner while you’re there with plenty of butchers and a couple of grocers available. One of the more recent additions is a purveyor of fine cakes. Well, recent to me given how often I get to wander around in here nowadays. Along with the sausages and the coffee, I was particularly taken with some miniature pickled gherkins for sale at one of the stalls (pictured below). I have it on good authority that the same stall does fine olives and numerous other pickled and not so pickled items. Speaking of pickled, it’s just a stones throw away from the Mutton Lane Inn, somewhere I hope to visit after the successful completion of the first days photowalking. The market is a Cork institution and always seems to have as many tourists with cameras strolling around as it does locals fighting their way around for supplies. If you haven’t read up on the Cork photowalk, follow the link above. We’re going to be taking in Spike Island (the former jail in Cork harbour), some finer points in the city and Fort Camden the next day. All are welcome. will need to see rest of cork photos after the photowalk. pleasant appetizer indeed, mais pas de tripes pour moi!